I am working on a trip logging software which processing GPS data and creates a map overlay of your travels for Google Maps and Google Earth. It also geotags photos and places them on the map where they were taken. 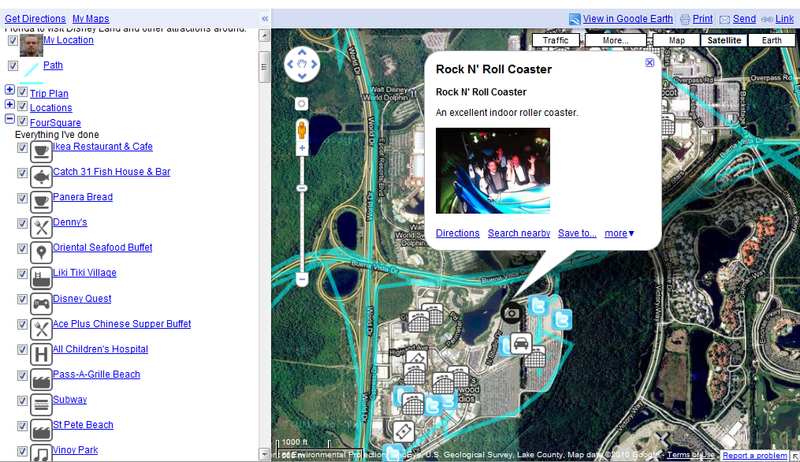 It can also pull other feeds such as FourSquare, Twitter and place them on the map appropriately. The software is currently being developed on Google Code. We are currently considering a name change, take a look below. If you are interested in either using or developing this software, send me an email or join our discussion group. There is also an Android app currently in development. The source code is available from Google Code. 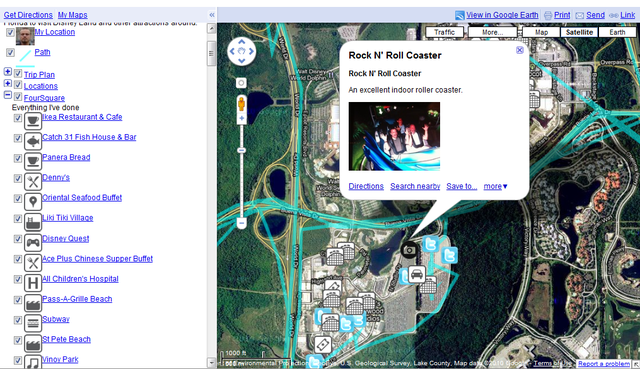 It can log GPS data from your trip and upload it straight to PhotoCatalog. It keeps all logged data in a database and will retain it until it can be uploaded to the site. It also supports uploading photo and status updates to the site as well. Alpha releases of it are also available on Google Code. We are considering renaming the software from PhotoCatalog but we have not decided on a new name yet. Some possibilities suggested so far are Life Logger and Life Tracker. You can submit your own suggestions below. Here is the detailed description of what our software does. PhotoCatalog can import GPS data from various formats such as CSV, GPX, and InstaMapper (in the case of InstaMapper, it is a live stream) and create a Map that is updated live of your travels. It can also import data from Twitter, FourSquare, and RSS extract any GPS data they have or supplement them with existing GPS data and place them on a map as well as keeping a personal archive. It can then import photos via file upload, email, or scanning an existing folder, geotag photos lacking GPS data, sort, rotate, scale and [lossless] compress them as necessary and place them on a map. It can also push them to Facebook, Flickr, or PhotoBucket automatically and fill in a caption and/or comment with them. Google Latitude support is coming as well as other services. 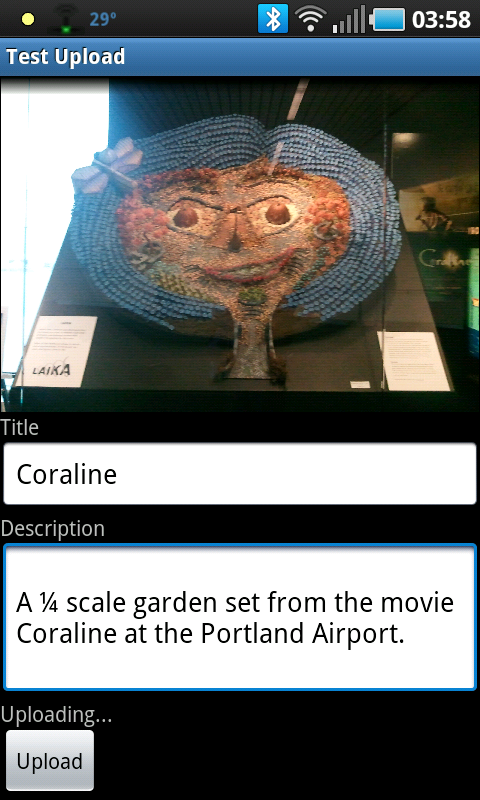 I am also working on an Android app that can replace InstaMapper as well as make it easier to share photos, microblogs, and more. Ronald would also like to add additional types of sensor data such as engine performance or heart rate monitoring.